With the inauguration of our state-of-the-art Opera House, Pastoral's conference and hospitality center has become the largest and most diverse campus in the Galilee, offering a wide variety of meeting and banqueting options to suit groups of different sizes. Far from the busy crowds, with green spaces surrounding the halls and meeting rooms and our Galilean chef's kitchen, Pastoral is famous for its business hospitality. All this, along with advanced technology and an attentive and welcoming customer service team, enable us to offer a variety of solutions for medical conferences, seminars, workshops, management conferences, team-building days and professional exhibitions. Surrounded by greenery and the chirping of birds, our spacious guest rooms and generously-sized suites can accommodate up to 400 overnight guests and serve about 600 participants. Experienced in hosting conferences and events, our hotel staff provide a variety of add-on services, including receptions, special meals and delicious snack-break menus. We can also create a unique repertoire for you, arrange special performances on request, provide your guests with body treatments in the breaks between conferences, and leave gifts in the rooms. Far from the madding crowd, adjacent to a Galilean olive grove and facing the breathtaking view of the Golan, Mt. Hermon and the Naphtali mountains, stands Opera Hall, one of the most modern and advanced in Israel. The impressive theater and conference hall, designed in Tuscan style, occupying over 2600 sq. m., blends in naturally with the Galilee landscape and the tranquil green expanses that surround Pastoral Hotel. Guests will reach the Hall via the "Cascina", the Italian square court, which has at its center a well-tended garden encompassed by a colonnade and at its center a fountain. The architectural concept maintains the character and vision of Hotel Pastoral. The 450 square-meter space can be partitioned into three separate halls, or combined with the foyer to create an open area of 840 square meters. Modern technological equipment and advanced sound systems are all available as part of a support package that includes artist and staff rooms, storage spaces, lighting system infrastructure, sophisticated sound and screening facilities, and on-site parking. A variety of culinary solutions are also available, including an extensive drinks bar, gala dinners, delicious snack-break menus, and Galilean chef cuisine made from the finest raw ingredients. A foyer at the entrance to the symphony hall connects it to the hotel lobby. The foyer also leads to Trio, which connects the symphony hall to the hotel restaurant. 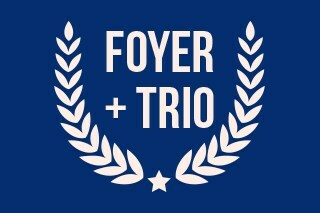 The foyer and Trio are two multi-purpose compounds spread across 350 square meters. They can be opened up or closed off in several configurations to offer great flexibility in event planning, accommodating exhibitions, displays, registration and computer stands, receptions, light meals and serving of refreshments and drinks. 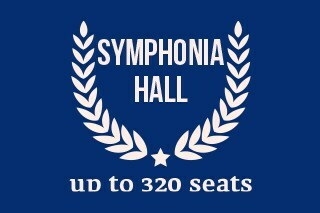 A warm and intimate hall that seats up to 50 people in a theatre-auditorium configuration. Decorated in a rustic style, the hall opens directly onto the hotel courtyard with its fountain, paved walkway, well-tended plants and seating. It is equipped with amplification equipment, a screen and projector, and makes for a quiet and pleasant atmosphere for meetings, workshops, debates and receptions. Located on the second floor, this large, spacious hall features windows overlooking the pastoral Naftali Mountains. Equipped with a sophisticated amplification system, projector and screen, it can accommodate up to 90 people in a theatre-auditorium configuration, and is suitable for all types of conferences, meetings, concerts and workshops. Able to host up to 320 people in a theater-auditorium configuration, this conference hall is suitable for large professional conferences that demand a high standard of hospitality. It is equipped with a sophisticated audiovisual system and two acoustic partitions that can be used to divide the space into three - Symphony 1, 2 and 3 - each equipped with its own amplification and lighting system, a screen and a projector. The large stage at the center of the hall can be removed or resized (an additional charge applies). At the heart of the Clore Center for Music and Dance is a major concert hall, and four large dance halls. In one of the dance halls, 100 seats have been installed facing the west wing. The main hall features 210 upholstered chairs fixed into a sloping carpeted floor, and an 8-meter-wide, 5-meter-deep, 4-meter-high stage with a 95cm elevation. 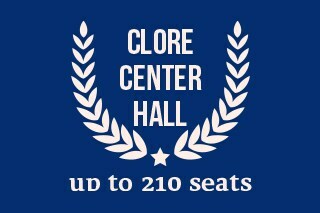 A large foyer at the entrance of the Clore Center is also available for receptions. 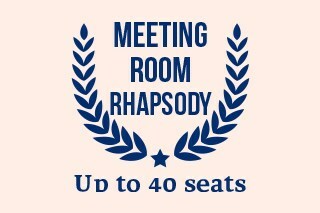 This 100-square-meter lecture and conference room seats up to 40 people in a theater-auditorium configuration. It leads to the Cascina to the west and the hotel's lawns to the east. The hall is equipped with lighting, screening and sound infrastructure, blackout blinds and a conference table that seats 30. This meeting room is located in the eastern corner of the foyer. The room is equipped with screening, lighting and sound infrastructure, and a conference table that seats up to 24 people. This deluxe conference room is furnished with an elegant conference table and luxurious leather armchairs. 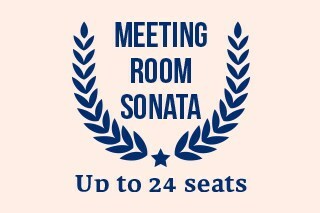 It is suitable for small meetings and conferences of up to 18 people around the table. 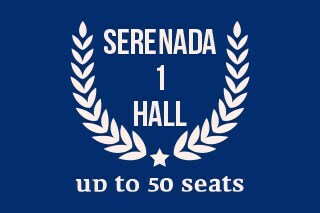 For the convenience of the participants, the hall is equipped with state-of-the-art technical and audiovisual equipment. The large glass windows of the Rondo bring nature into the room, infusing each meeting or discussion with a soft, welcoming and inspirational atmosphere. Overflowing with inspiration taken from the freshest, tastiest produce of the Galilee region, the Chef's Kitchen is at the center of the culinary experience that accompanies training days, workshops and conferences at Pastoral. 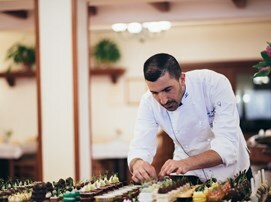 Our rich, varied seminar packages include a wide range of hot and cold drinks, creative snack and refreshment concepts, eye-catching and flavorful receptions, a selection of homemade cakes and pastries, seasonal fruits, cocktails, light meals and gourmet feasts, in the best Pastoral tradition. The food is kosher, under the supervision of Rabbi Zephaniah Drori.